נעלי הרים חדשות 2018 מסדרת TREKKING תוצרת Italia . הנעליים בנויות לתנאי שטח קשים, שבילים כבושים ומתאימה לפעילות אינטנסיבית גם בסביבה רטובה. סוליה חדשה עם בולם זעזועים מסוג EVA וסוליית Vibram TD בעלת קשיחות ונוחות, נבחרה לנעל הלאומית של שביל ישראל. 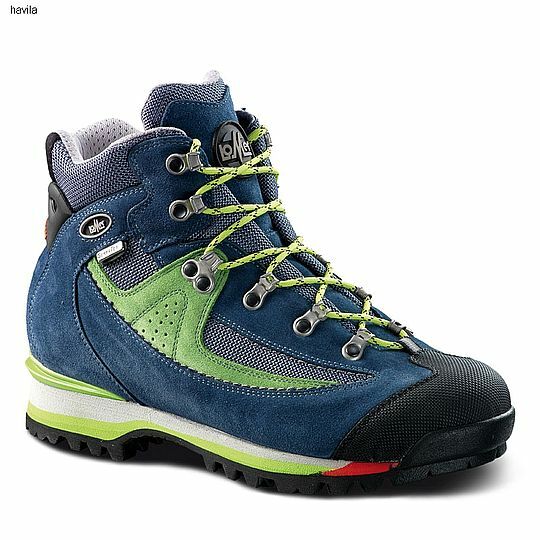 The Tibet STX is designed for those seeking a comfortable, modern trekking boot that will perform well in a wide variety of conditions. Constructed from a combination of Suede and abrasion-resistant nylon the upper offers a great balance of comfort and protection. Underfoot a high-traction Vibram TD outsole provides superior grip with self-cleaning lugs designed to shed debris as you walk. A Sympatex waterproof and breathable lining provides reliable weather protection whilst the moderate flex ensures a combination of stability on uneven ground with straight-from-the box comfort. Lastly a high abrasion synthetic toe bumper helps to protect the front of the boot from abrasion caused by contact with sharp rocks and stones.